Save 50% on the World’s Fastest Printer. Maximize the potential of your business with record-setting printing speeds and laser-like perfection. 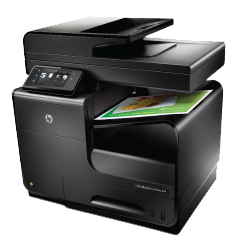 With HP PageWide Technology, these multifunction printers conserve resources without sacrificing performance. Watch the World's Fastest Printer. Automatically print two-sided sheets with quick turnarounds and less waste. Larger paper trays save time with fewer “out-of-paper” interruptions. Consistently produces durable, professional-quality color documents using Original HP pigment ink. This ENERGY STAR® qualified device uses up to 50% less energy than color lasers. Print with your smartphone or tablet from virtually anywhere with HP ePrint. Proactively manage and remotely monitor status with this industry-leading tool. Save with instant rebates and stay productive. No matter what your business size, professional-looking print quality is a must for all customer-facing materials. 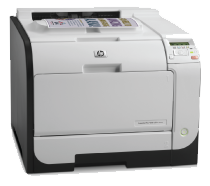 HP LaserJet devices are designed with a variety of paper-handling and networking options. For powerful scan capture, batch separation, and barcode recognition, use an instant rebate to get your HP ScanJet devices. 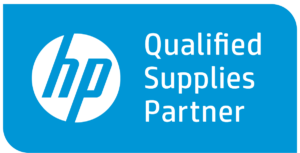 Ready to save on your HP Printer?